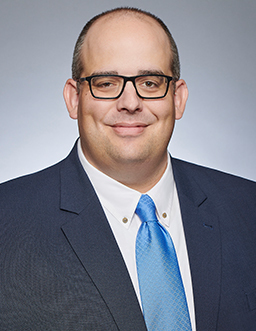 Mr. Bley serves as Chief Accounting Officer and Corporate Controller of the general partner of CVR Refining, LP, as well as Executive Vice President and Chief Financial Officer of CVR Energy, Inc., and the general partner of CVR Partners, LP. Previous to joining CVR Energy, Mr. Bley served as Assistant Controller for Andeavor (formerly Tesoro), where he managed a large team associated with corporate accounting and reporting for the organization beginning in March 2015. Prior to that, he worked for Tesoro in management roles within the accounting organization from May 2012 to March 2015. Before Andeavor, Mr. Bley served as a manager in both corporate reporting and internal audit for Clear Channel Communications, Inc. (now iHeartCommunications, Inc.) from April 2011 to May 2012. Mr. Bley’s other past experience includes KPMG LLP from January 2008 to April 2011 and The Hanke Group, P.C. (now BKD, LLP) from January 2004 to December 2007. Mr. Bley received a Bachelor of Science in Business Administration and a Master of Science in Accounting from Trinity University. He also received a Master of Business Administration from Baylor University and is a Certified Public Accountant.